In Lafayette, LA we’ve always known we have the best food and now we have the title to prove it. Lafayette, LA has been named the Best Food City in the USA in the Rand McNally/USA TODAY Best of the Road® Rally. How did this come about? Over 20,000 people nominated more than 600 towns from across the country in five categories. Lafayette, LA was selected as a finalist in the “Best for Food” category and was judged against five other towns. The Best for Food judges, Bonnie and Jim Parr (aka The Fun Finders), visited Lafayette, LA on their cross-country adventure. During the visit, the Parrs sampled the food at a variety of restaurants from down home diners to Lafayette, LA’s finest upscale eateries. One of the keys to success was to have the judges escorted by one of Lafayette, LA&apos;s preeminent chefs, Patrick Mould, who has a food, music and lifestyle show called "Cooking Up a Good Life." Chef Mould made the connection between local traditions and food and helped the Parrs see that good Cajun cooking is flavorful, not just spicy. 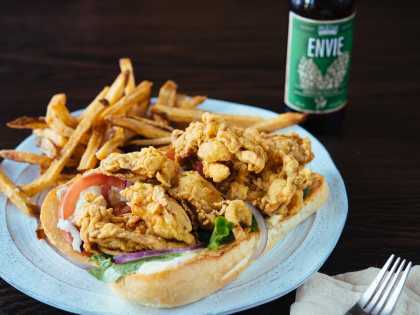 To see for yourself why Lafayette, LA is the Best Food Town, follow the Fun Finders itinerary. But don&apos;t forget to try some of our other great eateries while you&apos;re here to see why Lafayette, LA is the Best Food Town in the USA! Dwyer&apos;s is a family friendly and family run café located in the heart of Downtown Lafayette, LA. Breakfast is served from 6 a.m. – 11 a.m. offering everything from waffles and pancakes to eggs, pork chops, hash browns and more. They are also known for their daily plate lunch specials, which consist of an entree and three sides all with a Cajun flair. Sandwiches, burgers and salads are also available for purchase. At Jolie&apos;s Bistro, they embrace fresh, local, and seasonal ingredients with a spin on New Orleans Creole Classics. 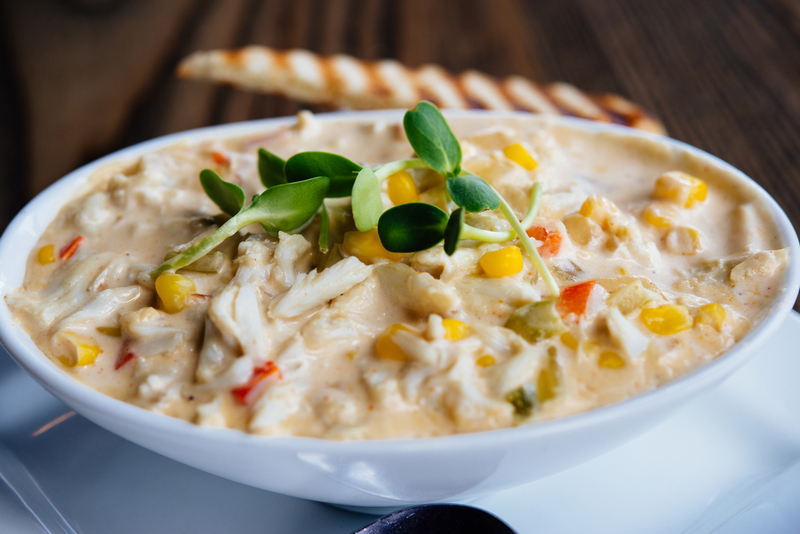 Jolie’s feature Gulf seafood, local produce, and hand cut steaks with quality ingredients and a constantly-evolving menu, you&apos;ll experience both familiar favorites and new tastes with every visit. While the food is a work of art there are also 35 canvases by world famous artist George Rodrigue, which depict Cajun life as it was in the early and mid-20th century. Rodrigue is Louisiana&apos;s Artist Laureate, and is known worldwide for his iconic Blue Dog artworks. Johnson’s Boucanière uses recipes and techniques for their smoked meats, boudin, BBQ and plate lunches that were developed at the original Johnson’s Grocery in 1937 located in Eunice, LA. You can get a sampling of all the smoked meat specialties including a variety of sausages, tasso and beef jerky made with different varieties of meats. Everything is prepared with their in-house smoked meats which are made fresh weekly. See the process and taste the wares of this decade’s long perfected process. In 1934 Don Landry opened Don&apos;s Beer Parlor in downtown Lafayette, LA, a casual hangout with a dirt floor where friendly folks served cold drinks and simple dishes. Soon after, Don joined forces with his family and created what we know today as Don&apos;s Seafood. The Don&apos;s experience became a true Cajun experience. With their famous half off oysters on Monday you can eat to your heart’s content without breaking the bank. Charlie G’s is upscale, but far from stuffy. Diners are greeted by aromas of fresh seafood and steaks being cooked in a wood burning stove, and invited to watch as their food is prepared in the restaurant’s exposed kitchen. 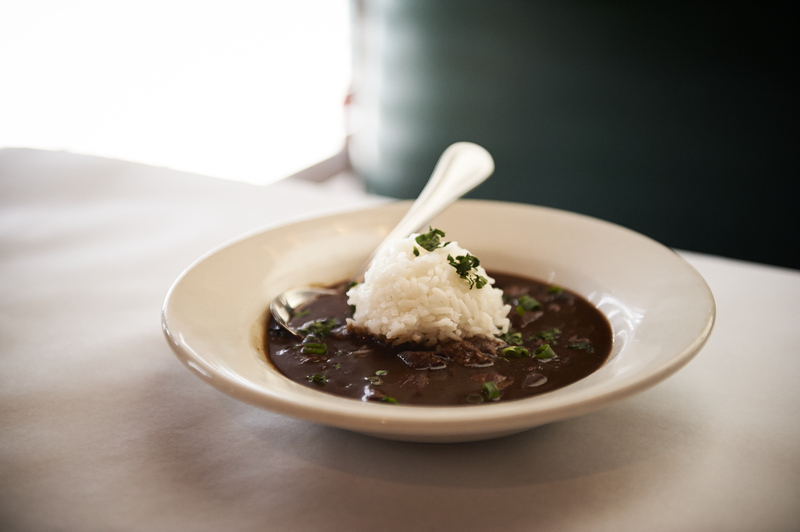 There’s something special about the gumbo at Charlie G’s and it’s not just the fresh meats and produce used to prepare it or their two-day cooking process. Their rich and velvety take on a Southern staple is prepared using a black roux instead of the usual light or medium. 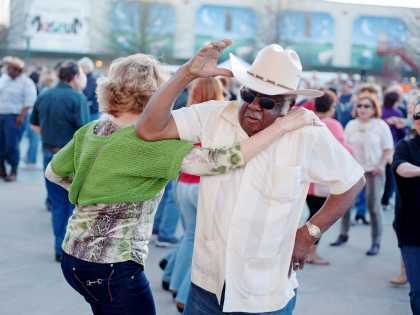 The only thing we enjoy more than eating down here in Cajun Country is dancing. Get the best of both worlds as you sample local flavors including gulf seafood and boiled crawfish from Randol’s Restaurant. Get a taste of our unique Cajun cuisine while two stepping around the dance floor to local music seven days a week. 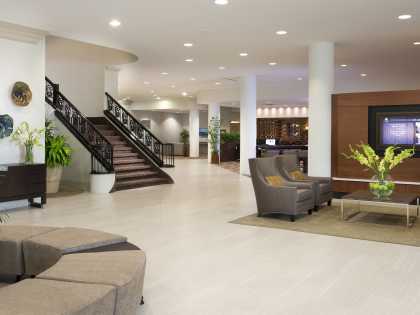 Your feet and you appetite will be doing a happy dance. The French Press, a casual dining restaurant holding the distinctions of being hailed as one of SAVEUR Magazine’s Top 100 Inspiring Places and Things to Eat (Jan/Feb 2013) and rated as one of Urban Spoon’s Top Breakfast Restaurants in the country (2013), is located in downtown Lafayette, LA - the heart of Cajun country. 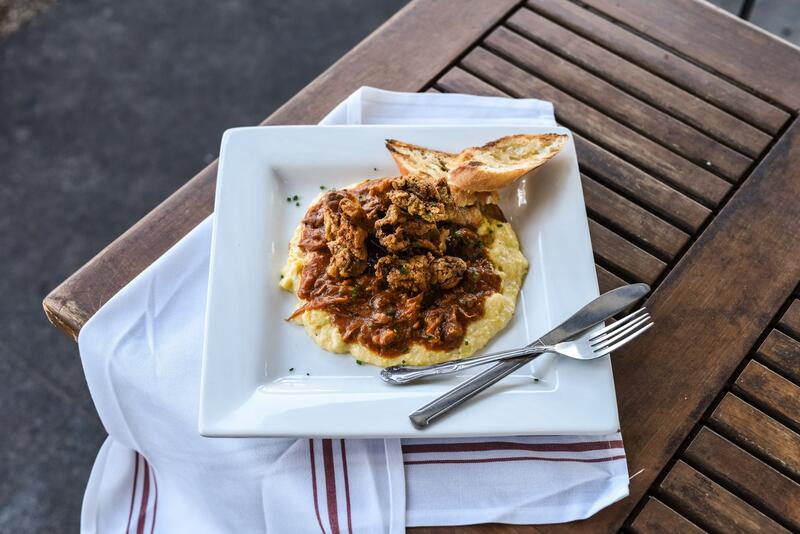 The restaurant offers brunch by day and fine dining by night, serving up inventive versions of traditional Cajun and American cuisine with a focus on fresh, high quality ingredients and rich flavors. Established in 1934 by Don L. Landry of Lafayette, LA, Don’s Seafood and Steakhouse began in the heart of downtown Lafayette, LA specializing in Louisiana Gulf seafood dishes. Don’s still operates as a family restaurant and many of the employees have been there for over 30 years. Don’s is dedicated to serving only the freshest local Louisiana seafood and steaks. Hub City Diner is a Lafayette, LA staple known for the breakfast and plate lunches throughout the week. The colorful 1950s theme, complete with neon lights and a checkered floor, rounds out the laissez faire feel where employees are given only three rules: don&apos;t steal, show up for work and be nice. The latter is prevalent and the food is just as playful. With bistro-style ambiance, Pamplona features succulent small plates, or tapas, of farm-fresh seasonal products, freshly butchered meats and seafood, while also offering a full selection of world-class lunch and dinner entrees. Completing the dining experience, an extensive variety of refined Spanish wines are served by the bottle or glass as well as an extensive ever changing seasonal cocktail list. For the full story on the winners of the Rand McNally/USA TODAY Best of the Road® Rally, go to USAToday.